The People Power wave is continuing to sweep other political parties out of power as more candidates from the pressure group’s camp emerge winners to become the next guild leaders. The latest to win is Lwanga Bob, a student from Buganda Royal Institute. Lwanga has emerged the guild president of the Mengo-based institute following weeks of intense campaigns under People Power. Lwanga’s campaigns featured Bobi Wine’s songs like Engule, whose message was translated and used to convince his fellow students, that he can indeed be a leader. 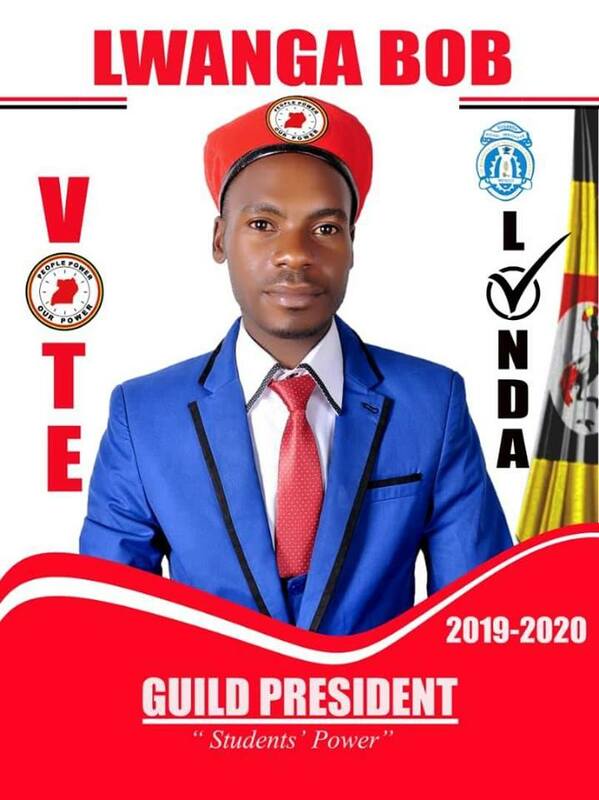 Under the slogan ‘students’ power’, Lwanga is the Guild President for Buganda Royal 2019/2020. His victory adds to a list of other People Power candidates who have won guild races in various universities and institutions around the country. Among these include; Makerere, Ndejje, MUST among others. The upcoming elections like MUBS, Mulago Institute, also have strong People Power Candidates, who are most likely to win their races as well.